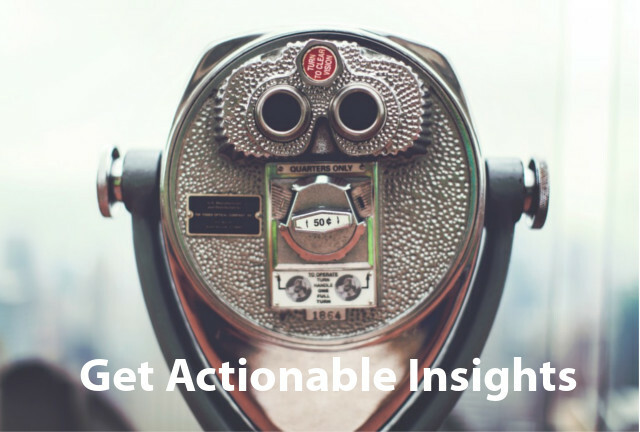 In this blog, we will look at providing a helpful way to analyze your users’ first visits to produce actionable insights. Through this segmentation, we will learn valuable information regarding user behaviors. Such as: the likelihood of a user to be loyal visitors later in their customer journey. Google Analytics comes equipped with some helpful predefined segments. One of the most well known of those segments is “New vs. Returning.” For those that don’t know, “New vs. Returning” takes all sessions within your selected date range and puts them into two buckets. The first bucket includes those who are first session users, and the second bucket includes those sessions that are not. This segmentation strategy sorts a user’s behavior when it is their first time on the site with user behavior for users already familiar with the site. But this is only somewhat helpful. What if we could take this idea and segment it even further to gain actionable insights into user behavior? Thanks to Google Analytics’ advanced segmentation, we can do just that! We’ll do this by segmenting by both session and user scope. First, we will want to have an understanding of a particular KPI (key performance indicator) for our website. With this in mind, we can distinguish a particular user as being valuable or loyal to us. In this case, we’ll look at users who have 5 or more sessions as the defining metric for our loyal users. 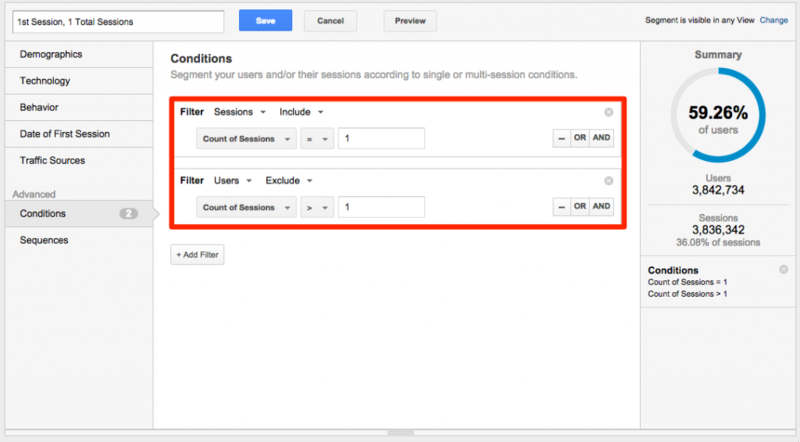 Notice that we are using Google Analytics’ ability to segment by both sessions and users. We’re asking Google to give us the first session (Include sessions where count of sessions = 1) for only the users who have had five or more sessions (Include users where count of sessions = 5 or more). Note that the only difference between these two segments is user’s behavior outside of their first session. We are doing this by segmenting out the first session (Include sessions where count of sessions = 1) for the users who have had only one session total (Exclude users where count of sessions is greater than 1). By comparing these two segments, we can now look at what is distinct about the first session from users that have shown themselves to be loyal users. This is versus users who have shown to have no interest in further engagement with our site. 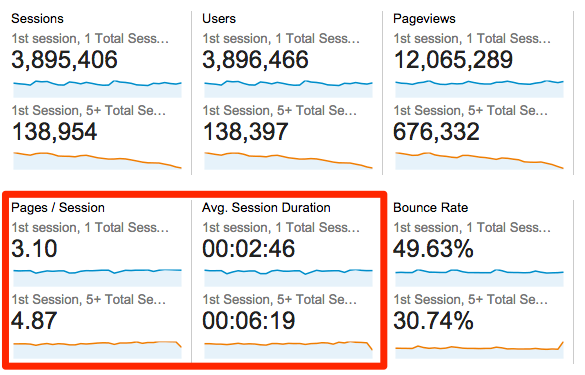 A quick glance into the core metrics in the Audience Overview report already reveals some insights. We can see some behavioral differences between the first session of loyal users vs. the first session of users who have yet to return. Now we know some things about a first time user who looks at 4 or more pages and the session lasts longer than 6 minutes. This means they are a likely candidate to become a loyal user to our website. This helps us create a behavioral profile of what makes loyal users distinct. And we can begin with the first website interaction. Using this data, we can begin to build remarketing audiences by identifying what makes our loyal users’ first session distinct from users who never return. In this way, we are able to find and recognize likely loyal users before they have even revealed their loyalty. These types of remarketing audiences are more likely increase our ROI by focusing our efforts back onto the most likely users to be loyal and valuable to our brand. It’s important to make note of the sampling indicator at the top of the report before you make any final decisions with the data that you have. Sampling of your data can really skew this kind of analysis. In a report that you can see in the example above, there is a sampling rate of 17.80% of the data. If you have a Google Analytics Premium account, you would want to examine the data via an unsampled report. This has to happen before getting to an actionable place with your insights. If you are not on Google Analytics Premium, you will need to choose a smaller date range for now. To learn more about the evils of data sampling, click here. Contact Analytics Pros today if you have any questions about using segmentation for your business needs. *Edit: A previous version of this post referred to a dimension not available to both Premium and non-Premium users of GA. Changes have been made above to reflect how you can achieve similar results using dimensions available to all GA users. Gerard Rathenau: I don’t get the option to choose for sessions under users with the metric session. How did you get the option sessions to choose for this segment? 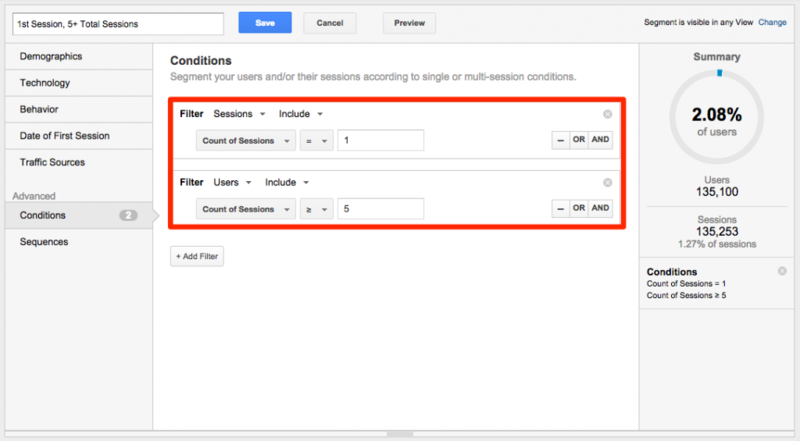 Anna N.: How come I don’t see the “Sessions” option in the dropdown to create the second filter? I see “Count of Sessions” but not “Sessions”. Oscar Ochoa: Is not possible to create the 1st segment you mentioned, I was trying to re-create the same segment, however in the conditions when you select count of sessions = 1 and then try to “add a new filter” within the same segment, there is no session metric in the list. Any reason why is that happening. Google analytics – Webanalyse | Pearltrees: Click Save to create the filter. Thanks for the heads up! I have corrected the post above to reflect dimensions that are available to all current GA users and, thus, how to create these segments for similar insights using the count of sessions dimensions. I’ve corrected the post above to include the dimension of “Count of Sessions” so that all Premium and non-Premium users of GA can utilize this type of segmentation. Please let me know if you have any further questions. I have updated the information in the post above to reflect how to use this segmentation for all Premium and non-Premium users utilizing the available dimension of Count of Sessions. That should solve your problem! Gerard Rathenau: Thank you, Jeremy, for the update!